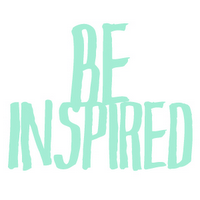 Thank you to Bonnee for inviting me to the Be Inspired Bloghop Meme. I'll answer these questions about my latest manuscript and pass it on. I attended the lectures of three men who profess the Hopewell and Adena of B.C. North America had biological ties to the Semitic people. They present some convincing evidence these cultures traveled over the Atlantic Ocean from the old world to arrive on the east coast of the United States and became prominent Native American tribes. This thrashes the well-established theories that all Native Americans came over the Bering Straits to North America. They also offer specific artifacts and DNA research to back up their theories and suggest these Native Americans possessed ample knowledge of Jesus Christ. Most of the scientific community, like the Smithsonian for one, deem the ideas and artifacts counterfeit, most likely because it goes against years of misguided ideologies. 4. If you had to pick actors to play your characters in a movie rendition, who would you choose? Karina Lombard or Korinna Moon Bloodgood as Onida. Paul Walker or Matt Damon as Lance. Gene Hackman as Senator Thomas J. Blackhour. Alan Rickman as Pastor Will. An anthropology professor races to uncover a 2000-year-old Michigan Relic mystery said to threaten the face of Christianity before someone destroys all the evidence. Not yet, though I’m determined. I took almost three years to finish the first draft. I work fulltime and also take care of my aged father, so all I have are a couple of hours a day to chip away at my dream. I don’t like to compare my work to others. I won’t presume to say my book is like the Da Vinci Code or National Treasure. Mine has more of a character-driven plot and doesn’t hop from disaster to disaster. I use archeology, folklore, religious concepts to explore the theme in a suspenseful story. The same three men whose lectures I attended have inspired me. As for the style of writing, I have so many favorite authors: Kate Morton, Jennifer Lee Carroll, Patti Callahan Henry. They use words that stir my creativity. The English language comes alive when they write. I want to engage the senses in my words much like they do. I find the subject of interest to anyone who wants to understand faith. Do we need physical evidence in our hands to believe in abstract concepts? In God? In vestiges of the past swept under the proverbial rug by manipulative men and concealing agendas? Native Americans have ample stories in agreement with the themes of my book, and more substantial archeological evidence is coming to our attention every day. Do you need proof? You’ve only got an hour. The kids are dreaming of computer games and the song they added to their I-pod today. Hubby, in bed, is mumbling something inaudible from the next room. You’re poised at your computer, staring at a blank screen, coaxing the words to spill and move your fingers across the keyboard. Only, nothing is happening. There’s a blockage somewhere between synapses and keystroke. No matter how much you strain to expel the magic, it sticks like some non-fibrous turd inside you. Before you push out a paragraph, you realize time is the only thing that has passed. I hate those moments of unproductivity. The opportunity is in place, but the creative juices are fixing a flat on the road to success. Not a tow truck is in sight. You are alone, wondering if you possess the skills to use a jack or if you possess the smarts to carry a spare. May I suggest you do. You just have to remember where you stashed the devices to rescue you from the muddle. Take a break – I know this is a frightening thought when you are on a deadline, but sometimes a walk around the block or a little sleep stimulates the thought processes and gets you over the hump. Munch – Eat some of your favorite foods. Nothing takes the place of chocolate when you need brain power and ideas. And your trip to the kitchen forces you to catch a break whether you want it or not. Move – Now I ask you, is sitting for hours without contracting a muscle conducive to optimal health and vigor of mind? Stretch and jog around your living room, at least, or if the weather permits, take the dog for a run in the park. Breath in, breath out—fill your lungs with oxygen. Your thinking cells will love you for the attention. Use other authors – Immerse yourself in a favorite book or go buy another one. Digesting someone else’s words might stimulate your own. Talk to another trusted writer friend who can urge you to try again or provide useful information. Take a knife to uncertainty - Doubt is such a thief. It robs you of your last ounce of courage. Believe in yourself. Believe in your ability to improve. Recite a mantra, something like, “I am a great writer” or “My words change hearts.” Say the phrase enough times until you believe the chant enough to tackle your work. Shift to another project – If you aren’t on a schedule, try writing something else. Play with words until they sing. Exercises in literacy are catalysts to greatness. Give yourself leeway – Who says you have to write what you outlined yesterday? Change things up a bit and allow what comes naturally to seep into your pros. Research – Hunt for information to fill the holes in your story you’ve been meaning to satiate, but only for a little while, just to distract your panic. Get back to writing as soon as possible. Write – If all else fails, keep writing. Even creating the worst paragraph allows you to rewrite. You can’t edit what isn’t visible. You might find anything is better than nothing on the paper. It jump starts you to improvement. Have you used these suggestions yet? Don’t you feel better? If not, what are you waiting for? Now, go, expect something great. You can get there from here.